Just an hour north of Milwaukee and the 2014 NCECA conference, you will find the town of Sheboygan, WI, and the John Michael Kohler Arts Center. 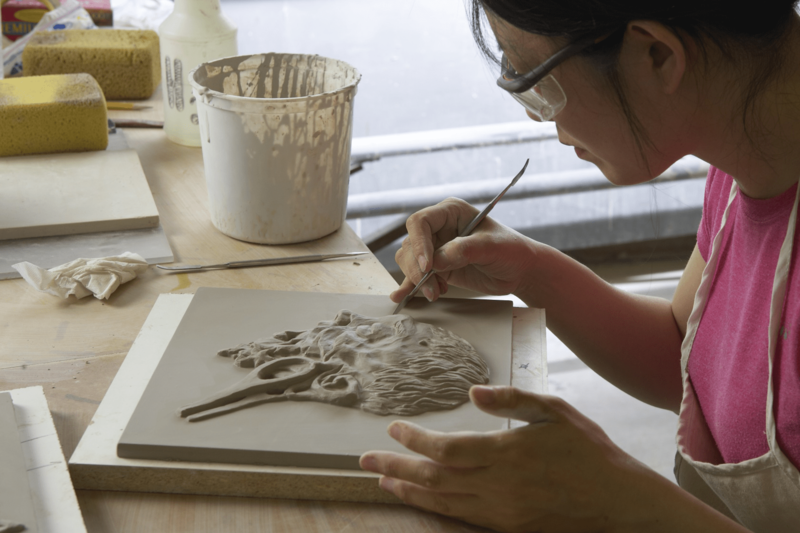 Known in the ceramics field as home to the Arts/Industry residency program, the Arts Center is a visionary leader in preserving and presenting the work of self-taught artists, art-environment builders, and emerging contemporary artists. The John Michael Kohler Arts Center serves as a laboratory for the creation of new works and the exploration of art forms and ideas that have received little critical attention or have been under-recognized. In 2014, the Arts Center celebrates the 40th anniversary of Arts/Industry with an exhibition and publication, currently titled Industrial Revelations, solely dedicated to this unprecedented program. 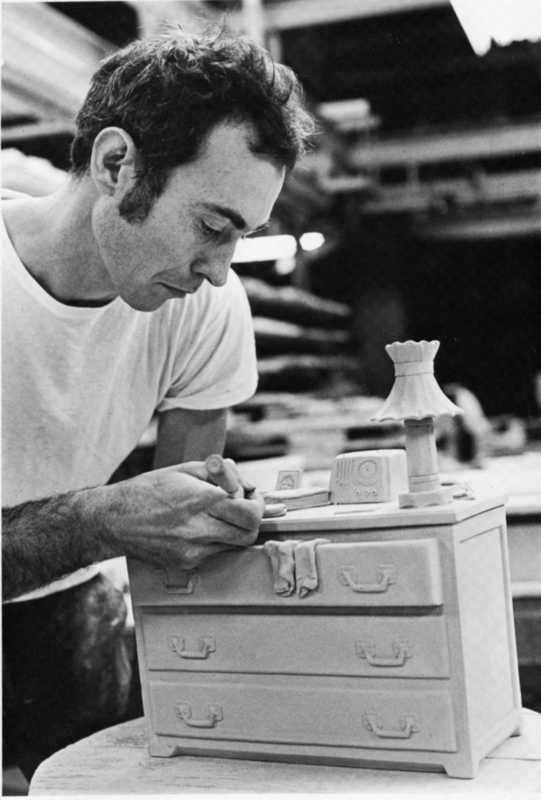 Originated in 1974 as a one-month experiment, Arts/Industry is a strong collaboration between the Arts Center and Kohler Co. that provides two- to six-month residencies for up to sixteen artists annually in the Kohler Co. Pottery and Foundry factory studios. During their residencies, artists are exposed to industrial materials and processes and a body of technical knowledge generally unavailable to them in their own studios. Hundreds of emerging and established artists have benefitted from Arts/Industry since its inception. Industrial Revelations will span twelve galleries and assemble more than 300 sculptures and installations made over the course of 500 residencies at Kohler Co. Exploring the culture of the factory and the impact of the program on the artists’ studio practices and ways of thinking, the exhibition highlights the artists and factory associates who have participated in this ongoing experiment. Exclusive opportunities for NCECA members and conference attendees have been organized to offer an experience of the Arts/Industry factory studios and the Industrial Revelations exhibition during the 2014 Milwaukee NCECA conference. Tours of the Kohler Co. Arts/Industry factory studios and the Industrial Revelations exhibition at the John Michael Kohler Arts Center. Includes lunch. The John Michael Kohler Arts Center will be one of the NCECA bus tour stops. Panel presentation, A Hand in Industry: 40 years of the Arts/Industry Program at the John Michael Kohler Arts Center, organized and moderated by Arts Center curator Alison Ferris and selected Arts/Industry alumni. Tours of the Kohler Co. Arts/Industry factory studios and the Industrial Revelations exhibition at the John Michael Kohler Arts Center. Free admission for all NCECA members to the Industrial Revelations opening reception at the John Michael Kohler Arts Center, beginning at 6:00 p.m.